Photo © CJ Arnold, all rights reserved. Some landscapes just seem to hold and captivate us, for me this beach is one of those places. 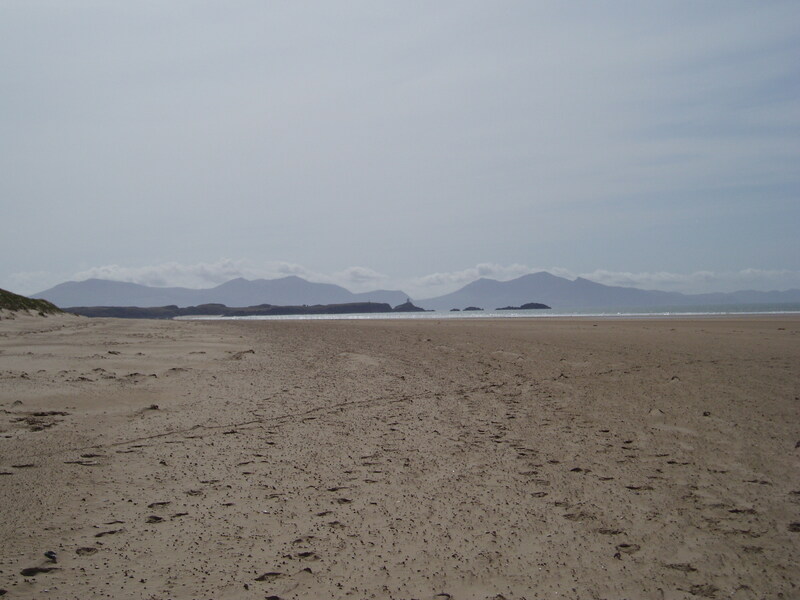 Despite all the footprints on the beach that day not one person was to be seen for hours, bliss. It is a true joy to spend time there walking, paddling, or sometimes even just sitting or lying on the sand watching the cloudscape go by above. I’ve spent more time looking at the sky recently, wherever I am. I once read that our minds are as vast and limitless as the sky, and that thoughts are like clouds in the sky. No matter how dark or dense (or light and fluffy – hey, it’s your mind!) those clouds might appear on the horizon (or in your mind) they are merely transient, like all things they are impermanent and will pass. Even a few short minutes spent cloud watching and sky gazing can help bring this teaching alive. So, what does this have to do with joy? Everything passes and changes, at some point – be it good or bad. It is important to realise that all difficult, sad, angry, frustrating, disappointing, depressing and tragic moments (even those that sit heavily with us for semingly extended periods of time) will eventually pass. For some people that might happen in seconds as the rollercoaster of their emotions moves on; for others this takes longer. There’s no judgement here, we’re all different. Of course it also means that joyous, happy, uplifting, life-enhancing events or celebrations will also end – that event/achievement/purchase that you felt sure would bring never-ending joy, well the feelings around that too will also change, at some point. The trick – and this is the really difficult part – is to spot the moments of joy in even the most difficult times, or to appreciate even small flashes of joy in between the difficult times. A kind word or deed done by someone when you’re in need; a beautiful vista, flower, scent or sound; some nourishing food or a healing touch; the peaceful moments between ‘constant’ noise or the fleeting respite between pulses of pain – like the waves on the beach nothing is ever permanent and we can find joy in the most unexpected of places. This entry was posted in Uncategorized and tagged cloudscape, footprints, impermanence, lanscapes, moments of joy, sand, sky. Bookmark the permalink.